@megamanx181x, I believe this to be a fantasized instance suggested by OP, and coitus did not in fact occur between him and the hypothetical “mothers with whom he would like to copulate.” As for the Teen Titans reference... no clue, bro. 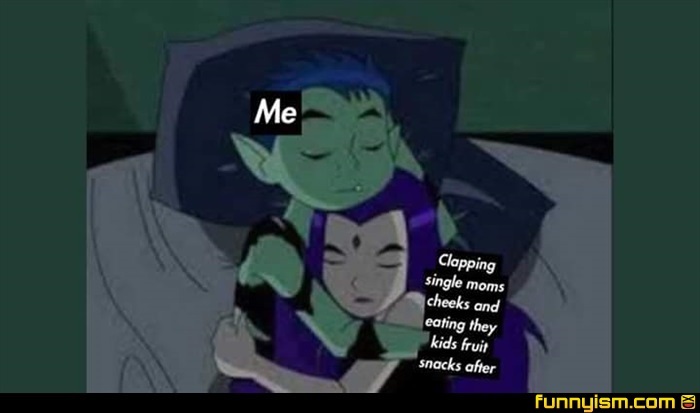 @megamanx181x, I thought they shipped Beast Boy and Raven pretty hard in the series. I would think saving someone from their interdimensionally abusive father prompts a solid hug.